"The new Studio 14z is Dell's thinnest and lightest Studio laptop, packed full of necessities to keep you roaming around your world with everything you need. And with its creative edge inside and out, you'll be more than surprised by its affordable price. Complement your personal style with a choice of five vibrant colors and one unique pattern. Available in Red, Blue, Green, Promise Pink, Purple and Black Chain Link, the new Studio 14z is so stylish, you'll be double-checking its affordable price. 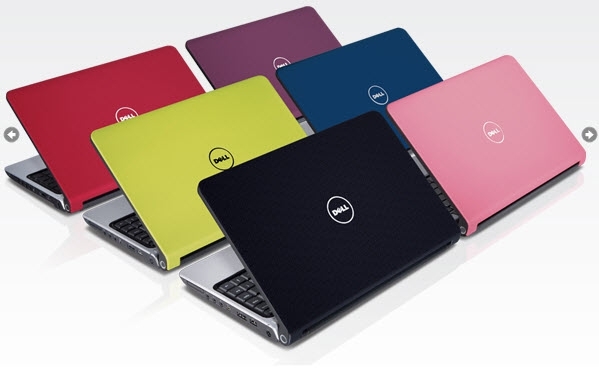 And with every purchase of a Promise Pink StudioTM 15 laptop, Dell will donate $5.00 to Susan G. Komen for the Cure®, one of the world's largest breast cancer organizations." UPDATE: Looks like Dell Canada allows you to configure the 14z with the T9550 Intel Core 2, which is 2.66 Ghz and has a 6 MB cache. Nice! Too bad it's a $420 CAD price jump above the baseline 2 Ghz CPU. Ouch!